John Spencer, the coach of the Portland Timbers who helped prepare the team for the jump to Major League Soccer last season, was fired on Monday. John Spencer, the affable coach of the Portland Timbers who helped prepare the team for the jump to Major League Soccer last season, was fired on Monday. The Timbers, coming off a 3-0 loss at Real Salt Lake on Saturday, are 5-8-4 and in next-to-last place in the league's Western Conference, with no road wins. General manager Gavin Wilkinson will coach the team for the remainder of the year. "We are by no means waving the white flag for the 2012 season," team owner Merritt Pauslon said a news conference announcing Spencer's dismissal on Monday. "There are still many games to play and we continue to have high expectations for the season." Spencer issued a statement via the team: "I want to personally thank Merritt Paulson and the Paulson family for the opportunity to be the first head coach in the history of the MLS Timbers. Also, I want to thank all the coaches, staff, players and fans associated with the team. I very much enjoyed my time with the club and wish everyone the best." Spencer was hired on Aug. 11, 2010. In the Scotsman's first year as coach, the Timbers finished 11-14-9. The 11 victories tied the team with the 2006 Houston Dynamo for fourth on the list of wins for an expansion team. The new MLS franchise was wildly popular in Portland. Demand for season tickets at Jeld-Wen Field was so high in the off-season the Timbers increased the allotment this season by 2,000 seats, with a remaining waiting list of some 5,000 more supporters. The team also increased stadium seating capacity to more than 20,000. "We had a terrific record last year as an expansion team under John and he provided us with some amazing moments and memories that will forever be a positive part of our MLS history," Paulson said. But while the Timbers were still a major draw this season, selling out all their home games, the enthusiastic fan base has been vocal in calling for on-field results. Paulson insisted that the decision was not record-driven, nor did it have anything to do with ethics. He characterized the issue as "some fundamental philosophical differences." Paulson choked up at one point during Monday's press conference. "There's a human factor here, and I don't take that lightly," he said. Wilkinson joined the Timbers in 2001 as a player when the team was part of the USL First Division. 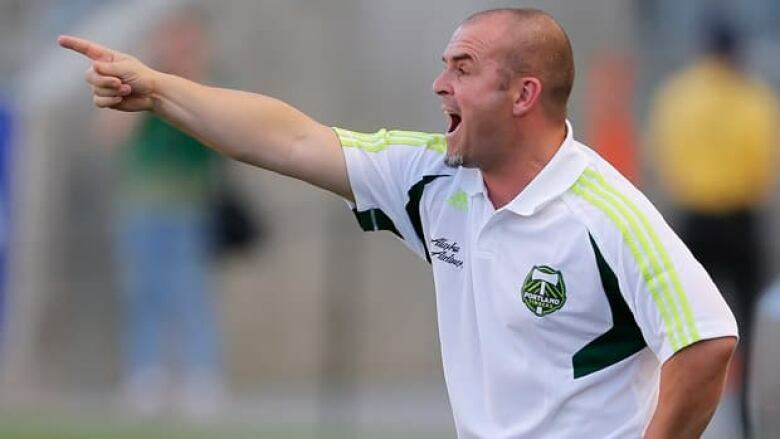 He was coach of the second-division Timbers from 2007-10 and was an assistant with the Houston Dynamo for five seasons before coming to Portland. Wilkinson, 38, said the players were informed on the decision on Monday. He did not expect a major overhaul of what the team has been doing. Indeed, he said, he was instrumental in putting the existing team on the field. "Now it's up to me to get a little bit more out of them," Wilkinson said. Paulson said it is not Wilkinson's intention to keep the coaching job on a long-term basis. Spencer, 41, played professionally for 18 seasons, with stints in Scotland, England and with the MLS Colorado Rapids. A striker, he scored 43 goals for Chelsea from 1992-96.